Bandai Namco has released a brand new God Eater 3 story trailer, which is fully dubbed and expands more on concepts introduced in previous trailers and info dumps. In addition to giving us a good chunk of God Eater 3‘s English voice acting, it also provides more context to the story’s new concepts, including the new Ash Aragami enemies, and the AGES characters who are the only ones with the ability to fight them. This is a story trailer through and through, essentially being a montage of voiced cutscenes that only provide hints of what’s to come. With “Fenrir” supposedly out of the picture, we get a sense of the AGES characters having a bit of a reluctant presence, teasing perhaps a conflict between them and the Aragami-fighting force of the previous games. We also get a wide range of examples of the English voice acting (it’s worth noting that God Eater 3 will ship with both the dub voice track and original Japanese voices), and while there aren’t any names here, we do see several of the non-player characters on screen. 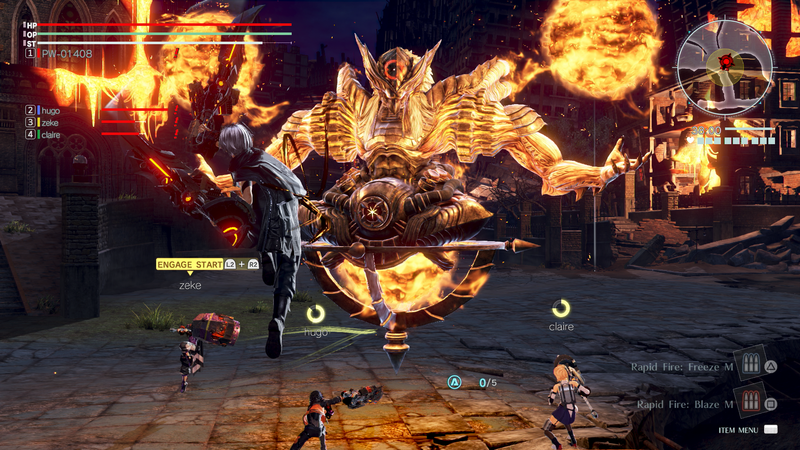 Bandai Namco has steadily been releasing details on God Eater 3 as we head towards its release, which is a good thing considering how many new features, terms, and characters are part of this experience. Check out our previous coverage for more information on those new gameplay features, previous story information, a new 8-player multiplayer mode, and more. God Eater 3 is set to release on February 8, 2019 for the PlayStation 4 and the PC.